I am always on the look out for educational activities that Supergirl can do independently. Recently, through the TOS Review Crew, I was introduced to an online reading program called Reading Eggs. From the About Page: The Reading Eggs program is a unique online world where children learn to read. It offers individual, one-on-one lessons that allow children to progress at their own rate. Developed by a team of teachers, writers and developers, the Reading Eggs program focuses on a core reading curriculum of phonics and sight words using skills and strategies essential for sustained reading success. Because Supergirl has had some reading instruction, we started with the placement test/assessment. She placed at the beginning of Map 6 (Lesson 51). I was frustrated with the placement test. With many of the questions she could figure out the answer without truly having to read. I felt it was more of an assessment of test taking skills. There was one question that truly bothered me, however. The program displayed pictures of 3 objects and asked her to click on the object that begin with the [short sound of o]. She couldn’t not figure it out. I could not figure it out. None of the pictures started with the short sound of o. The answer? ORANGE. This was my first indication that this program does not use American English. In other phonic based program or is a separate phonogram because it is an r controlled vowel. Here is a screen shot of one of the questions from the placement test. Each lesson is comprised of several activities (usually 12). Every lesson starts with an introduction and ends with a story. The activities vary from lesson to lesson. Here is a screen shot of one activity. not all of the activities have a “repeat audio” button. Sometimes my daughter needs the sentence repeated again in order to get the words in the correct order. claims to support what we are doing in school however we are not using a “word family approach” so, although fun, doesn’t really match up with what she is doing with her regular curriculum. In the Skills Bank, the student can do spelling lessons, I didn’t like the activity that requires you to read the sentence in order to choose the correct word. The sentences were above her reading level (I had a <blank> bite of apple.) The spelling word is big. She’s not at the reading level to read bite or apple. for the most part Supergirl enjoys using Reading Eggs. though it doesn’t line up with our regular curriculum it hasn’t interfered with it or caused confusion. Reading Eggs uses a blend of phonics and whole words/sight words. If a student doesn’t meet some minimal requirement, the program will have them repeat the activity. I like that it doesn’t just move to the next activity; Supergirl has to meet a standard. I like the emailed reports. Our Experience with Reading Eggs Reading Lessons: We’ve been using Reading Eggs 2 to 3 times a week. Supergirl has fine motor skill issues which sometimes affects her ability to use the mouse efficiently. This didn’t prevent her from having success but it did mean that sometimes it was easier if I sat with her and she pointed at the screen while I worked the mouse. She really enjoys the activities of the lessons and hasn’t been interested in the other areas of the map. She likes working through the lessons to hatch the critters. For her that is her reward. As you can see from this screen shot, there is more available than just the reading lessons. We just discovered the Skills Bank where Supergirl can tackle spelling lessons. I’ve been wanting to get her to try the Driving Lessons but so far she really prefers to just click on the my lessons and get to hatching those critters. Overall, I think this program works well as a supplementary fill in. Because of I prefer a different approach to teaching reading, I wouldn’t be comfortable using this program as Supergirl’s only reading instruction. A 14 Day Free Trail is available. Subscriptions begin at $9.95 a month with 6-month and 12 month subscriptions available as well. In addition Reading Eggs offers a 50% multi child discount for the second student when purchasing a 6 or 12 month subscription at the same time. For older children, there is Reading Eggspress which builds reading comprehension skills. Some of my crew mates used Reading Eggspress with their children. Others using Reading Eggs. Click on the banner below to read what my fellow crew mates had to say. All information is correct and accurate as of the date of this review. Disclaimer: As a TOS Crew member, I received a 3 month subscription free of charge to review. This review is my honest opinion with, hopefully, enough detail as to why I liked or did not like a product so that my readers can make an informed decision. I received no compensation. The TOS Blog Cruise goes live each week on Tuesday and you can read what other Crew children like best about homeschooling. In the meantime you can enjoy reading past Blog Cruise topics at the TOS Homeschool Crew Blog. Although Great Lent doesn’t begin until Monday (tomorrow), we’ve been in a pre-lenten mode. Last Sunday was meatfare Sunday also known as the Sunday of Final Judgement. The following day we began the meatfast or cheesefare week. Orthodox Christians abstain from meat (except fish) during this but may partake of dairy, eggs and fish. Lent is so much more than just a fast. It is a spiritual journey: an opportunity for reflection and a time of renewal. We all stray from the path. We all get caught up in the daily cares of the world. Lent provides the framework for re-training our flesh to seek first the Kingdom of God. The fast isn’t just about abstaining from certain foods. It’s a training ground for taking back control of our flesh. Today is Forgiveness Sunday. It is the day we remember Adam and Eve’s expulsion from the Garden. It is the day we stand before our brothers and sisters and ask for forgiveness. I would like to ask all my dear readers to forgive me for any offenses or hurts I may have caused. Please forgive me, a sinner. Through a book, I can travel to places all around the world and through a book I can visit the past. When it comes to reading novels, I think the Regency Era ranks as one of my favorite time periods. Especially if it takes place in Great Britain or Ireland and even more so if the characters are nobility or have titles. 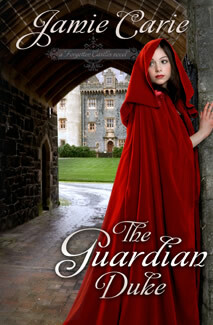 I just finished reading The Guardian Duke, a regency era romance by Jamie Carie. About the Book: The Guardian Duke is award-winning novelist Jamie Carie’s most exciting story yet, a uniquely arranged Regency-era romantic adventure where hero and heroine know each other through written letters but have yet to meet. Gabriel, the Duke of St. Easton, is ordered by the King to take guardianship over Lady Alexandria Featherstone whose parents are presumed dead after failing to return from a high profile treasure hunt. But Alexandria ignores this royal reassignment, believing her parents are still alive and duly following clues that may lead to their whereabouts. Gabriel, pressured by what are actually the King’s ulterior motives, pursues her across windswept England and the rolling green hills of Ireland but is always one step behind. When they do meet, the search for earthly treasure will pale in comparison to what God has planned for both of them. I always enjoy a book more when I know more about the author and her background. I was pleasantly surprised to see that Jamie Carie home schools. I didn’t need to read more about the author to know that her faith and her walk with Christ is a part of her identity. I love the plot line! I enjoyed the intrigue. What happened to her parents? Where are they? Will she find the clues that will lead her to her parents? I love that the characters are real. Alexandria loves God, has faith but is far from perfect. She struggles with her own sins. I did enjoy reading the book and I look forward to continuing the journey with His Grace and Lady Alexandria, however, I’ll be reading it for the adventure. The romance part is a little over the top for my taste. I do have to note that personally, I had difficulty with Ms. Carie switching back and forth between using Lady Alexandria and Lady Featherstone. It felt inconsistent with my understanding of peerage and titles and the Regency era. That said, I have passed the book to my oldest daughter who loves anything to do with the Regency era. She’s not yet finished the novel but she is enjoying it! Does the plot line intrigue you? Do you enjoy historical Christian romances? Then you’ll want to enter my giveaway! One dear reader will get to win a copy of this entertaining novel. A friend of mine is starting a new meme this week called Blogging through the Alphabet. I make no promises or guarantees that I will post every week but this looks like a lot of fun so I wanted to make sure I jumped in this week. But A? I knew my friend Debra from Footprints in the Butter was going to use Ancients for her topic so I put that idea aside. I pondered and polled my children. “Annihilation,” a sleepy 16 year old stammered. (She was still in bed. I woke her up. Oh not to get an idea. Just it was time to get up and since I was there already I had to ask!). Annihilation? Nope that didn’t work for me. Too negative for a first post about blogging through the alphabet. Lent is just around the corner (For Orthodox Christians Lent begins on Monday, though I know it has already begun for my Western friends.) Almsgiving! That’s an A word and it has to do with Lent! Almsgiving? That’s a pretty serious topic for a for a first post. I put that idea aside as well. While looking through the refrigerator (I forget why because I’m getting ancient.. see Debra, I could have used that topic too! )I spotted some fruit! That’s it! Apples. A is for Apples! When I was growing up my mother only bought one kind of apple. Maybe that was the only kind of apple available in Minnesota when I was growing up? Well there were two kinds available: Granny Smith and Red Delicious. Mom only bought Red Delicious. I learned two things about apples: green was sour and red was supposed to be sweet. I also learned, I didn’t like apples. Or at least I didn’t then. I liked applesauce and I liked apple crisp and apple flavored things but I did not like eating an apple. Over the years, I discovered that it’s not APPLES I dislike. It’s Red Delicious apples I can’t stand. I’ve learned that there are so many more varieties of apples. Good ones! Not mealy yucky ones. Around here we most often eat Fuji or Gala apples but I really adore Honeycrisp and my new favorite apple is the Junami. I was recently introduced to this extremely juicy, delicious apple through the Bountiful Baskets Co-Op. Here you can see my Junami apples along with some strawberries, Asian pears and red bell peppers. (I love Bountiful Baskets!) We still have a couple of Junami apples left. This past Saturday though we got some Braeburn apples. Did you know they were discovered in 1952 in New Zealand? I didn’t. I do now but that’s cause I had to search to make sure I spelled it correctly because spell check keeps saying it is wrong. Braeburns make excellent cooking and baking apples. Now that I’ve been thinking about apples and cooking with apples I’m craving some apple crisp. Not with the Junamis though I hear it makes fabulous apple crisp but with the Braeburns. I like eating the Junamis as is too much to want to use up the few I have left in an apple crisp. Hmmm, I wonder if I can get the girls to make some apple crisp today? Do you have a favorite apple? Go check out Marcy’s post over at Ben and Me, you’ll find another A is for Apples post and A is for Amazon etc. You can also link up your own Blogging Through the Alphabet post! Some children need little to no reading instruction and just seem to teach themselves to read. Other children, when developmentally ready, only need a little instruction and they take off with reading. And yet other children struggle. Some struggle for a short period of time; maybe they just weren’t ready. Others have learning difficulties or even learning disorders. I have four daughters. My oldest struggled.My next two readers basically taught themselves how to read. Supergirl, my developmentally youngest, has special needs and cognitive impairments. I often worried about whether she would ever be able to read. She requires a multi-sensory, multi-style approach to learning. We’ve been using All About Reading Level 1 from All About Learning Press. This has been an amazing and wonderful fit for her. But before I get into how great this has been for her (for us really!) let me tell you a bit about the program. Written by Marie Rippel, All About Reading is a complete comprehensive program based on the Orton-Gillingham approach. It is multi-sensory. Lessons are mastery-based and customizable, so children can learn at their own pace. The program uses an “open and go” format which allows the teacher to relax and teach with little, it any, prep time. All About Learning provided All About Reading Level 1 Kit ( $99.95)and the Deluxe Reading Interactive Kit ($48.95). Just look at what that includes! The Level 1 Kit includes the Teacher’s Manual, The Student pack and all three volumes of readers. The Deluxe Reading Interactive Reading Kit includes three components that the basic interactive kit does not: the Tote Bag, the Reading Review Box and the Star Stickers. You will need at least the Basic Interactive Kit and a some type of index card storage box if you do not purchase the Deluxe Reading Interactive Kit. In addition you will need some basic craft supplies such as crayons, scissors and glue. It is highly recommended that you purchase a 2’x3’ magnetic white board. I’ve been using the back of a cookie sheet for now but I will be upgrading to a magnetic white board when we add more letter tiles and run out of space to work. This program claims to have an “open and go” format. For the lessons this claim is true. I have little to no prep work at all when it comes to teaching the lessons. It does require some time investment before starting. If you want to use magnetic white board (or in my case cookie sheet) you’ll want to take the time BEFORE you start to put the magnets on the letter tiles. You’ll also want to tear apart the phonogram cards and word cards. I love this program. I love that it has everything laid out for me. I really appreciate that Ms. Rippel has planned everything. I don’t have to decide which activities to do; I don’t have to decide which word cards to use and which ones I should be reviewing (and her indexed box makes storing so easy. Words to review in one section, words mastered in another and a third tab for words not yet taught). Even though it is scripted and mastery based, I have room for flexibility and I can slow down a lesson. For example, for the first several lessons my daughter could easily complete an entire lesson in one sitting. Now, though, it is better if we break down many of the lessons into two sessions. I’m even considering take one day a week to just do review and practice fluency pages. Her pile of “words to review” has grown quite large. I appreciate that with All About Reading I can follow the suggestion to review the word cards at the beginning of every session but I can choose to just focus on re-reading fluency pages or re-reading some of the short stories. We do not always color the activity sheets. Here Supergirl colors an activity sheet from a previous lesson while I do something else. She reads the words and it reinforces the past lesson. I wanted to get a picture of our cookie sheet with our magnetic letter tiles so I put it in front of her and went to grab the camera. When I came back I found she had started pulling tiles down to make a word to read. I was so thrilled to see her spell dog and then read it! Supergirl enjoys the stories in the readers. Here she reads about Kip the Pup. I think it is important to note that a child must be ready to blend to be successful with this program. The timing of this program has been phenomenal for us. Supergirl knows her letter sounds, she’s blending sounds and she is ready to master fluency. If she was just starting to blend, I think we could have still used this program but we would have had to slow it down. That’s the beauty, I think, of All About Reading. I can go as fast or as slow as Supergirl needs. However, I think we would have been very frustrated if she was not at least able to grasp blending. You may be thinking that All About Learning Press or All About Reading sounds familiar. That may be because Marie Rippel is the author of All About Spelling, another terrific program from All About Learning Press. Because of the multi-sensory approach, I highly recommend this reading program. Click on the banner below to read what my fellow crew mates had to say about All About Reading from All About Learning Press All information is correct and accurate as of the date of this review. All About Learning Press generously provided me with the complete All About Reading Level 1 Kit and a a Deluxe Reading Interactive Kit. Right now I have to say my primary goal this week is survival. We all started to feel like we were coming down with something so I made “virus killing soup”. That was over a week ago. I think all I did was push off the illness. One by one, yes, like dominos, the members of my family fell. All sick of us are fighting this cold/virus thing but the stage varies from person to person. Turtlegirl was hit first closely followed by her father. Next Supergirl went down followed by her mother (that would be me!). Tailorbear fell hard today and close on her heels is her sister BooBear. So this week is survival. We’ll get done what we get done. A serious goal is to not get too far behind where we want to be for school but as Great Lent approaches I would rather we spend the week taking it easy and getting our strength back so that we can participate right away in the extra church services. I especially do not want to miss Forgiveness Sunday. Do you have any goals this week? What are your plans for the week? Check out Mama Manuscripts Goal Planning Post for this week. While making the grocery list and discussing how many cans of tuna we want, I suddenly burst into song “no tuna..” and before I could finish my 12 year old jumps in with “no jack” My husband looks at us oddly and then says “oh the song”. Not A song but THE song. My favorite song from my favorite resource for teaching skip counting. This particular song teaches skip counting by 7’s (The Fisher of Men catches a Fisherman)and is based on the gospel story from Luke 5:4-11. Peter has been fishing all night but has caught nothing. He hears a voice from shore that tells him to “throw once more on the other side.” “And because it was the Lord, Peter said ok.” In the 7’s song, Peter is counting the fish that he caught after he threw the net again. So why has the CD been on my mind? Why did I start to sing “no tuna, no jack”? Supergirl. After BooBear, Turtlegirl, and Tailorbear had moved past skip counting we put the CD aside. In the last couple of weeks, I realized Supergirl needed some help with skip counting. My first thought was “100 Sheep"
I don’t just love this resource because it teaches all the numbers from 2 through 10, nor just because it uses Bible stories but because it is something we all can listen to in the van and we all can enjoy it. I don’t have to cringe whenever Supergirl asks for it. I like the songs. And I’ve improved my skip counting skills, too! This is a fabulous CD. One Hundred Sheep by Roger Nichols and published by Common Sense Press. I know it is available through Christian Book Distributors and Rainbow Resource. You could also try Amazon. 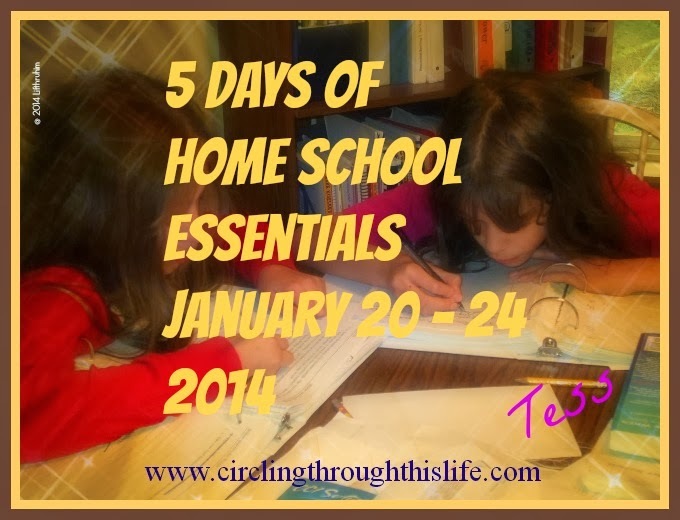 Check out other free or cheap homeschooling resources recommend by my fellow crewmates. Disclaimer: This is NOT a review. I know it looks like a review. Ok so maybe it’s a review with a really strong recommendation. I did not receive this product for free. No one has asked me to write this post. I just wanted to share my favorite CD for teaching skip counting. I love math. I don’t, however, love teaching it. I feel as though I’ve been on a quest to find a math program that meets the needs of my students and does the teaching for me. It’s possible I have found the answer: ALEKS. Assessment and LEarning in Knowledge Spaces is an online mathematics program that provides personalized learning and assessment tailored to a student's individual needs. Using artificial intelligence and adaptive, open-response questioning, ALEKS quickly and accurately determines what a student knows and is most ready to learn within a course. This online math course offers courses from 3rd grade through post high school. I was provided a two month free trial for each of my children who could use ALEKS, along with a master account. They even encouraged me to create a student account for myself so I did! I’ve been working my way through the Algebra II course while BooBear age 16 (11th grade) has focused on Mastery of SAT Math. Turtlegirl is working her way through Algebra I and Tailorbear is studying Middle School Math Course 2. A student accesses her coursework through the the MyPie tab. As the student masters each topic, the pie fills up. ALEKS automatically assigns assessments periodically to determine a student’s progress. ALEKS adjusts the MyPie chart to reflect this progress. If a student misses a question the topic will reappear in the chart. These assessments typically occur after the student has completed roughly 20 topics. One of the pluses of ALEKS is that it adapts to the students. ALEKS will only make available topics for which you are ready. If you have not mastered a topic, it will not let you proceed. On the other hand if you are struggling with a concept it will not allow you to continue that session but instead will encourage you to try another concept and come back to the difficult one at another time. Another aspect that all of us appreciated was the notes of encouragement. After completing a problem correctly you will see Good Job! or Very Good. The student is told something like “Very Good, if you answer correctly two more times without help, I will add this topic to you your pie.” How many times a student must practice a topic before ALEKS will add it to the Pie depends on factors such as how many times the student asked for an explanation or whether the student got the answer correct. I love that ALEKS is a mastery based program and that it includes review. When a student first logs in s/he will be greeted with “Here are some topics you may want to review”. I don’t like that the student can skip these by just clicking on the My Pie icon however, I do like that they can click on the review icon at anytime and review any topic. There are far more features of ALEKS than I can talk about in this review so I would encourage you to take a tour of ALEKS or check out the different courses they offer. ALEKS offers monthly ($19.95), 6 month ($99.95), and annual subscriptions($179.95). ALEKS also offers family discounts for multiple children. I only reviewed Junior High/High School level courses. Please visit the TOS Crew blog to read reviews from my fellow crewmates who have reviewed a variety a of levels. Click on the banner below to read what my fellow crew mates had to say about ALEKS All information is correct and accurate as of the date of this review. Disclaimer: As a TOS Crew member, I received a two-month free trial to review. This review is my honest opinion with, hopefully, enough detail as to why I liked or did not like a product so that my readers can make an informed decision. I received no compensation. I eagerly expressed interest in the See-N-Spell Spelling and Vocabulary Quick Reference Guide from CadenaSmith Enterprises. Recommended for Grade 4 through adult this booklet is described as “Easy-to-Use, Fast, and Focused.” The inside cover gives instructions on how to use the See-N-Spell. My Thoughts: I think the 1st section which divides words by function (noun, verb, adjective) would have been wonderful for my oldest when she was younger. I think for natural spellers such as my Turtlegirl, this isn’t as useful as a tool. She rarely needs help with spelling. My favorite aspect is the homophone part of the 1st section. On the page for Tt, you’ll find to, too and two as well as there, their and they’re including definitions so you’ll know when to use each word. I think this is a very useful tool to have around. Click on the banner below to read what my fellow crew mates had to say about See-N-Spell All information is correct and accurate as of the date of this review. I love astronomy. I especially love looking at the stars and learning about the constellations. I confess that, though I am fascinated by the concept of astrophysics, the math is beyond me but I can still appreciate the stars and how constellations have been used to track and mark seasons for centuries. I remember being so excited to take my first astronomy class in college. The prereqs clearly stated that I did NOT need to know physics. Somebody forgot to tell the professor who took over the class. I think he thought it was the astrophysics class. I just wanted to study the movement of the stars and planets and be able to recognize what I saw in the sky. When ever I gaze up at the night sky, I am in awe of the Creator. Jay Ryan, of Classical Astronomy, has started a monthly almanac for novice stargazers. The Classical Astronomy Celestial Almanack a Visual Representation of the Sky is a monthly publication available from Curriclick for just $3. As a member of the TOS Review Crew, I’ve been given a copy of the Volume 1 Number 2 issue.. Even though I love astronomy and star gazing, I was really hesitant about this almanac by Jay Ryan. Why? Well I live in the Pacific Northwest and I was afraid that I would only be able to read about the cool things in the night sky and not actually get to witness them. But we’ve had several days in a row with beautiful weather and clear night skies. But even if I had not been able to do some of the activities, this almanac is still worth taking the time to read. This 21 page e-book is overflowing with information! I learned so much and I am so impressed with this inexpensive (but highly valuable) resource. I think the most important thing I learned was that I am in love with classical astronomy. I didn’t know there was a name for it! Two of my daughters have been as delighted and fascinated by this Celestial Alamanack as I am. The three of us have been taking advantage of the rare clear skies here and were able to go out three nights in a row. I love how Mr. Ryan has categorized things to find by 1 star, 2 star etc. The higher the number of stars the more difficult it is to find with the naked eye. I could keep going on and on about how much fun my daughters and I have had. I could keep telling you how impressed I am. But I think I want to tell you to just go buy it! I know we’ll be wanting to purchase these every month. We want to take the “Orion Challenge” and learn all 35 constellations in a year. It is lesser known that February 2 is the The Feast of the Presentation of the LORD in the traditional liturgical calendar. This feast commemorates the dedication of the baby Jesus at the Temple, as recorded in Luke 2:22-40. This feast occurs 40 days after Christmas, to commemorate the period of the purification of Mary, as stipulated in the Law of Moses, according to Leviticus 12:1-4. This is another aspect of how the traditional church calendar is designed to mark the seasons while commemorating events in the New Testament, with their correspondences to the Old Testament. In this way, the liturgical calendar dedicates large portions of the calendar year to remembering the narratives and other teachings of the Bible. I wish that college professor had been able to use Jay Ryan’s materials! I might have actually learned something back then! I also highly recommend checking out Jay Ryan’s website especially the Sky this Month page. Click on the banner below to read what my fellow crew mates had to say about Celestial Almanack All information is correct and accurate as of the date of this review. Thank you to all who entered my giveaway for A Mile in His Shoes. Number 18 is PK! Congratulations PK! I’ve received her mailing information and passed it on to the people at Propeller (who provided this giveaway opportunity). PK, congratulations! I hope you enjoy the movie! At first I thought, “I have nothing to say.” Measure success? Many days just getting school work done is a mark of success. Seriously, a successful day, a day I feel really good about, (which happens every now and again but not nearly often enough) is a day where I feel I have accomplished something. All four girls getting 90 % or more of their assignment sheets complete, a couple loads of laundry done, and dinner actually made. That’s a successful day in my life. But how to measure achievement in my homeschool? How do I know that my efforts in providing an education for my children is successful? Is it all about grades? Nope. As I type this I realize it is very much NOT about grades. It’s about learning. It’s about growing. It’s about building character. So how do you measure those things? Can those things be measured? For me, the measure of success is a light up look in the eyes, or a smile of delight at a discovery. Sometimes, success is laughter or yes, even tears. Those are outward signs of the successful work of learning, growing, and building. “Mama, 2+2= 4. I remembered!” “Mom, relationships are hard.” “Look! Look! I got it! I solved the problem!” When I hear those things, I know I’ve been successful in my home school. This topic: How do you measure success in your homeschool? Will be live on the TOS Blog Tuesday, February, 7th. You will be able to click on the link and go straight to this question. Until then, please enjoy re-visiting past Blog Cruise topics. First I need to share that I am writing this review because I love this product. I volunteered to write this review; I was not required to provide one. About a year ago I did a TOS Review of this music program for young students and we loved it so much that I purchased a one year subscription! The Lessons are fun! Karri enjoys what she does and this enjoyment spills out into the lessons. She’s having fun and that means my daughter has fun. The Lessons (Sessions) are short. Each “week” is divided into 4 sessions. These are very short which means my daughter, who can be easily distracted, doesn’t lose focus. Also because the video clips are short, she doesn’t mind re-watching several at one sitting. Does not require a piano. You can use just an inexpensive small keyboard. Many of Karri’s demonstrations are done on a small keyboard. Includes fun activity books. Some of these are coloring pages, while others are “song sheets” to use for practice. The activities reinforce the topics covered in each week. My daughter struggles with fine motor skills; multiple strokes have impaired her ability to fully use her left hand. Yet, despite the physical limitations, she loves the piano. She may never truly play the piano, but Kinderbach instills in her an appreciation for the piano and allows Supergirl to have “piano lessons like my sisters”. For us this is so much more than an introduction to learning to play piano. It’s a course that teaches left and right and develops fine motor skills through coloring and cutting as well as finger strength in learning piano technique. Designed for children ages 3-7 Kinderbach offers DVD packages as well as online subscription options. DVD packages start at $40.45 The online subscription options start at $7.95 per month. Kinderbach offers the first two weeks of the online program for FREE so you can try it before you buy it. (Two Weeks Free) After you try it out and decide that you really like it you can use this Coupon Code: TOScrew2012 to save 30% off your order. This coupon is valid until 2/1/2013!!! Click on the banner below to read what my fellow crew mates had to say about Kinderbach At Home All information is correct and accurate as of the date of this review. Disclaimer: I was asked by the The Old Schoolhouse Review Crew to write this review. I did not receive a free subscription. This review is based on my purchased 1 year online subscription.